Our organization is a prominent name for offering Plywood Box to our patrons within the committed period of time. 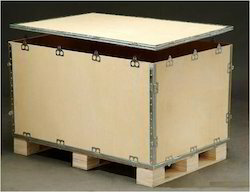 We are offering Plywood Boxes to our clients for exporting various items. Our products are made quality plywood, which is sourced from reputed vendors in the market.